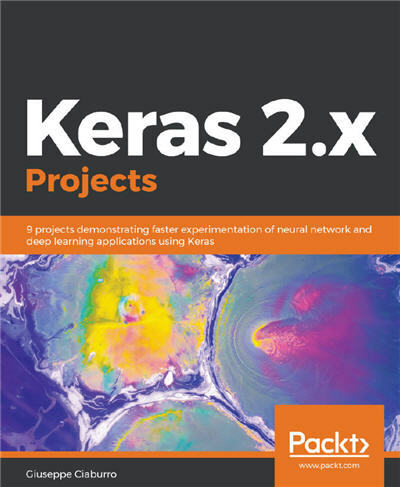 9 projects demonstrating faster experimentation of neural network and deep learning applications using Keras. classification for self-driving vehicles, and more. models to solve different kinds of problems. Articolo della sezione Python con tag Keras, machine learning, Python on April 16, 2019 by admin. Regression analysis is a statistical process which enables prediction of relationships between variables. The predictions are based on the casual effect of one variable upon another. Regression techniques for modeling and analyzing are employed on large set of data in order to reveal hidden relationship among the variables. This book will give you a rundown explaining what regression analysis is, explaining you the process from scratch. The first few chapters give an understanding of what the different types of learning are – supervised and unsupervised, how these learnings differ from each other. We then move to covering the supervised learning in details covering the various aspects of regression analysis. The outline of chapters are arranged in a way that gives a feel of all the steps covered in a data science process – loading the training dataset, handling missing values, EDA on the dataset, transformations and feature engineering, model building, assessing the model fitting and performance, and finally making predictions on unseen datasets. Each chapter starts with explaining the theoretical concepts and once the reader gets comfortable with the theory, we move to the practical examples to support the understanding. The practical examples are illustrated using R code including the different packages in R such as R Stats, Caret and so on. Each chapter is a mix of theory and practical examples. 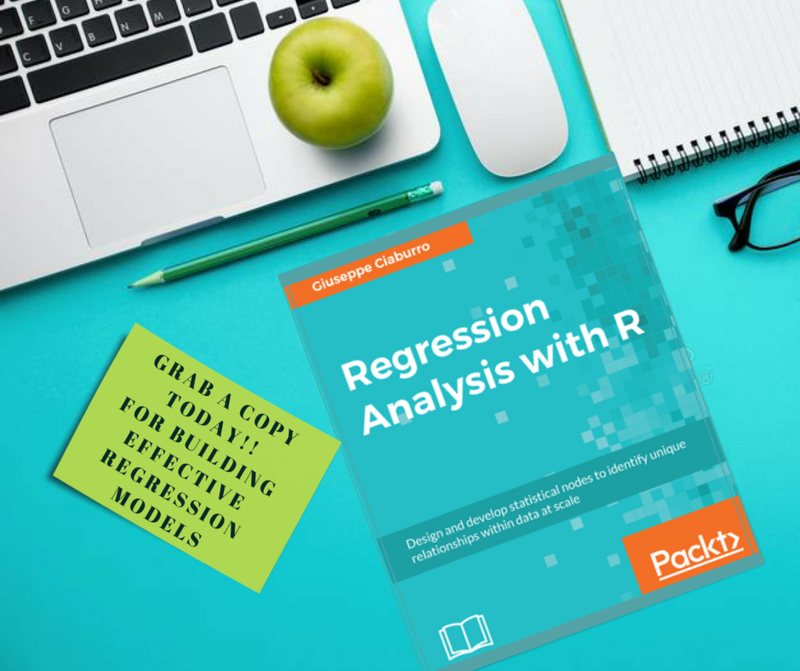 By the end of this book you will know all the concepts and pain-points related to regression analysis, and you will be able to implement your learning in your projects. Articolo della sezione R con tag machine learning, R, r regression, regression, statistic analysis on March 15, 2018 by admin.